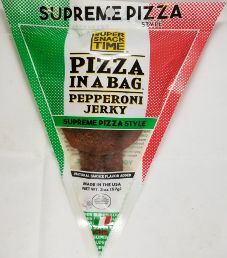 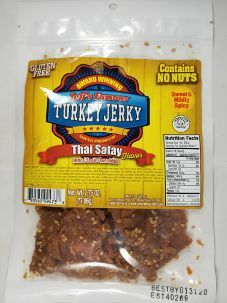 The first review on Super Snack Time Pizza in a Bag will focus on a 2 ounce/57 gram bag of their pepperoni flavored jerky. 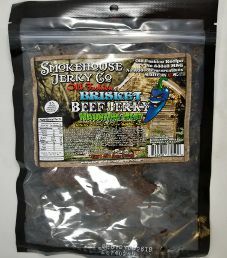 This bag was purchased at a Walmart store located in Niagara Falls, New York. 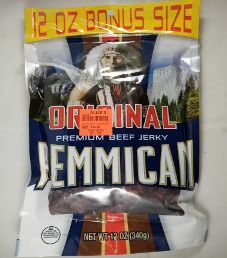 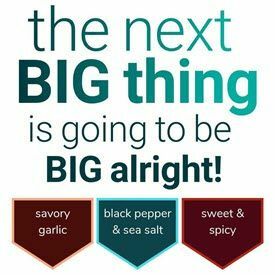 The next review on the Pemmican brand of jerky will focus on a 12 ounce/340 gram bag of their original flavored beef jerky. 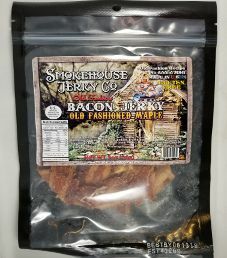 This bag was purchased at a discount store named Ollie’s located in Niagara Falls, New York.